Raw Rajapuri Mangoes – 1 ½ kg. Sugar – 1 ½ kg. Red Chilli Powder – 50 gms. Whole Cumin – 2 tsp. 1.) Wash, peel and grate the raw mangoes. 2.) In a container, add grated mangoes, salt and turmeric powder. Mix well. Keep aside for 2 hours. 3.) Add sugar. Blend well. Cover the container with a muslin cloth and tie it well to almost seal it. Expose this container to sunlight for 10 days. 4.) During this period, open the muslin cloth everyday in the evening, mix the mango mixture, and seal it again with the muslin cloth. This has to be done everyday during the 10-day period. 5.) After 10 days, add coarsely pound whole cumin, asafoetida and the red chilli powder. Mix well till all the ingredients are blended thoroughly. Expose this mixture to sunlight for 1 more day. 6.) Cool the Khummar overnight and store it in a dry sterilized glass jar the next morning. The pickle is ready to be eaten. As with any pickle, when the Khummar is ready, use a dry spoon when removing the pickle from the jar. Exposure to water will spoil the pickle. 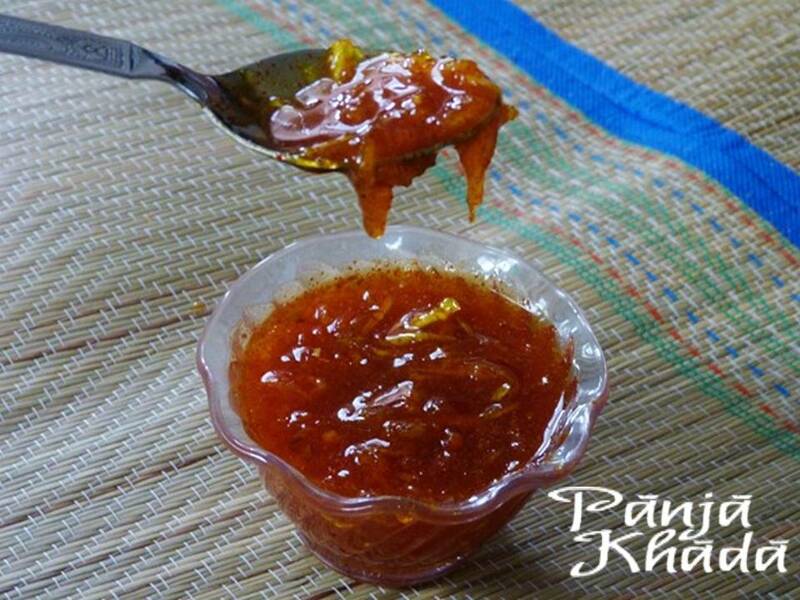 Khummar serves as an accompaniment to a lot of Bhatia breakfast items like Koki, Batatay jo Phulko etc.